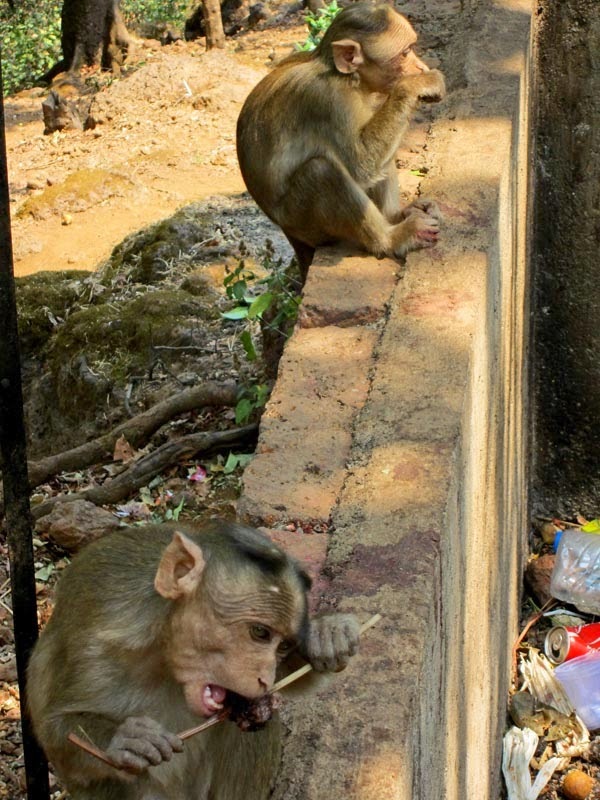 Stock Pictures: Monkey eating Ice Golas! The Indian Ice Gola, a type of ice-cream is famous. So popular is it that monkeys too love it! This is a kind of instant ice candy made from crushed ice. You need to add salt and make small ice balls. Pour a sweet and colored flavouring syrup on it and viola! A gola is ready to eat. Golas are typical of India and sold everywhere by vendors, particularly at markets, fairs and tourist places. 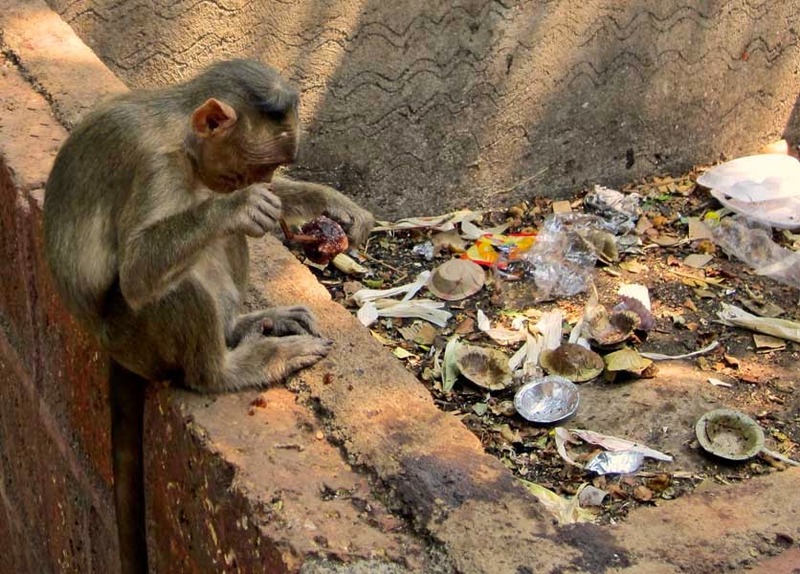 These photographs are of monkeys eating the golas thrown away by customers. 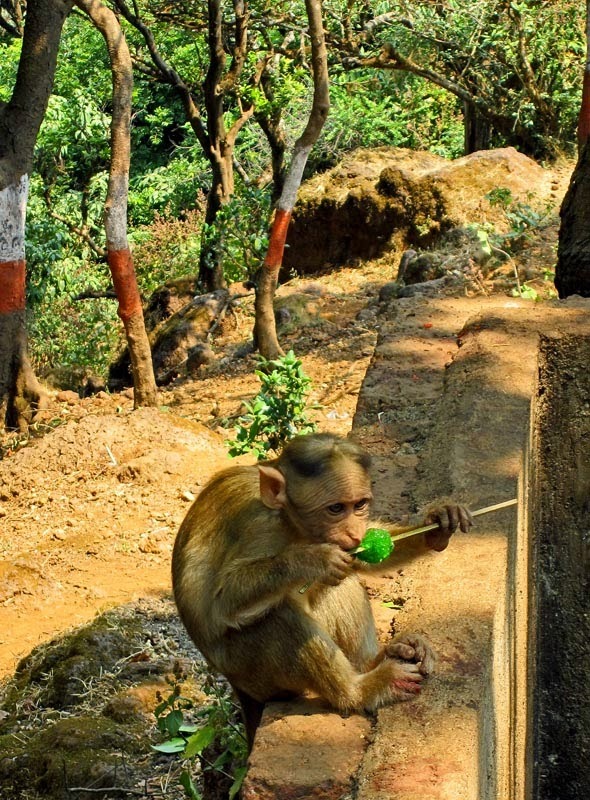 This monkey is making the most of a brown gola at a tourist spot in Mahabaleshwar. If one has found a gola, another is not far behind. They are biting hard! 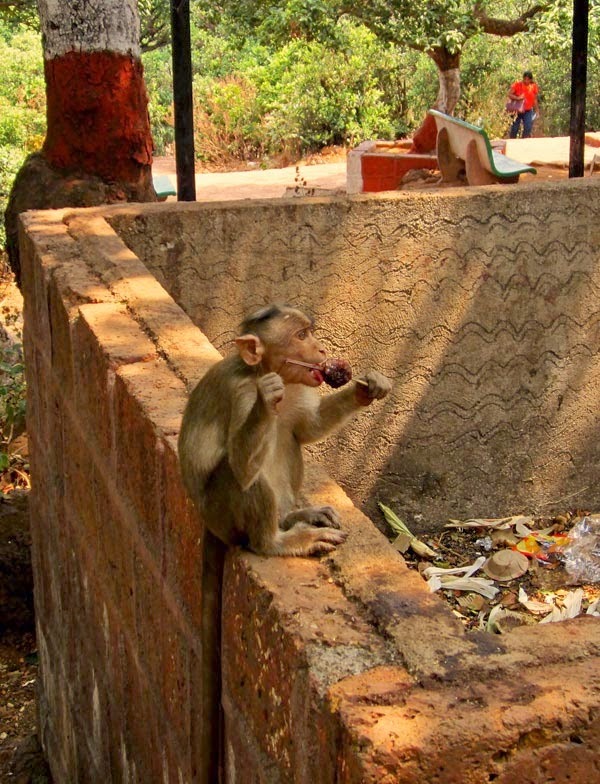 This monkey is worried that the gola is dripping water, and never mind the garbage around! Sadly people discard the food in open garbage bins.